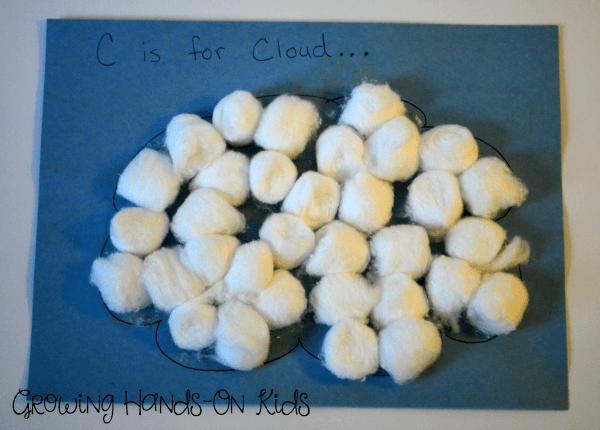 This past week we finished our letter C activities for tot-school. Each week we are taking a letter and doing hands-on activities around it. We were a little more laid back with the activities this week since daddy was home and we also had just a crazy week with the baby and sleep. There are definitely many other ideas you can add to fill in the week more. I didn't get a great picture of this, but I did share one on Instagram last week. Ellie used a pair of kid's scissors and made snips on regular white paper. You could also use construction paper, yard, or any other items like that. 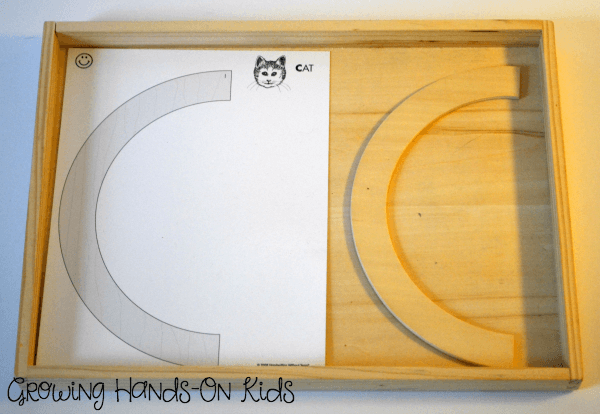 You can check out my post on 5 ways to introduce scissor skills for more ideas. 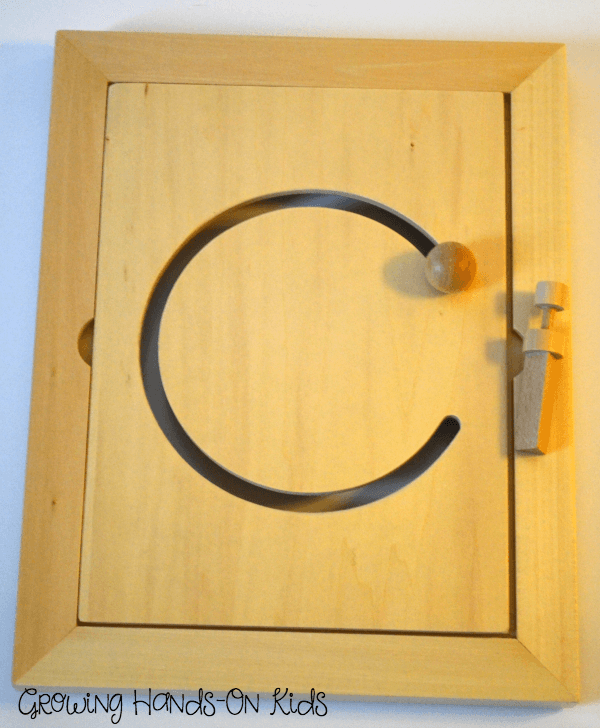 I also have a scissor practice packet available for subscribers. 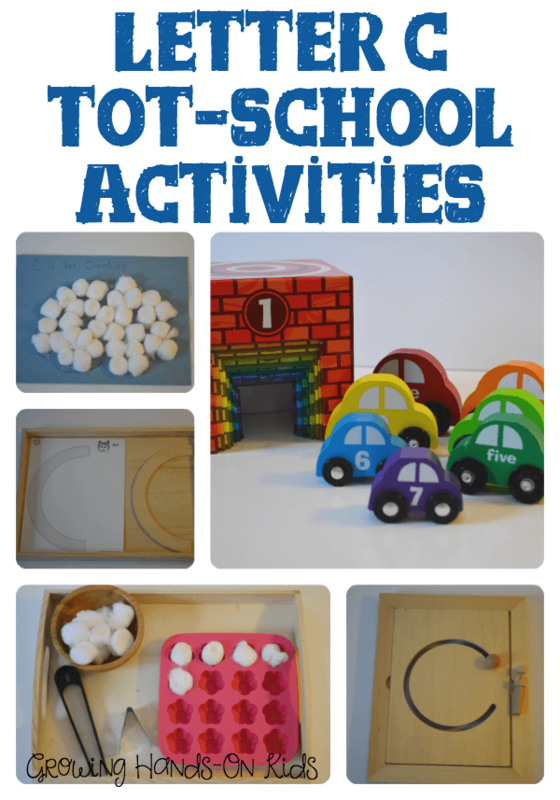 I used a wooden tray, fine motor tongs, cotton balls, a silicon candy mold tray, and a wood bowl to set up this activity. 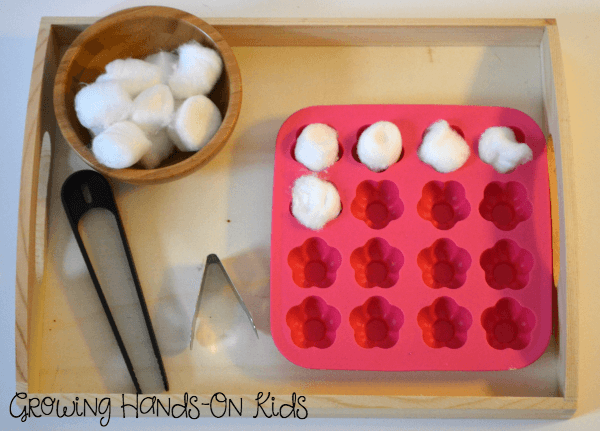 Ellie used the tongs to transfer the cotton balls into the candy mold tray. For details on the pre-writing board set from Discount School Supply you can check out my review of it here. 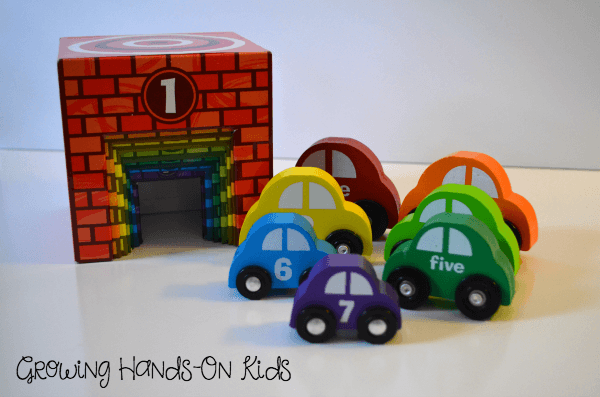 For reading we used the Little Letter C book from The Measured Mom and for Math we used this car and garage matching and nesting set from Melissa & Doug. We got this idea from The Preschool Journey ebook by my friend Angela Thayer.